At the last AGM, held at the 2018 Spring Meeting in Warwick, five new BSDB committee members were elected to take term in autumn. They will replace the five leaving members: our Graduate Representative Alexandra Ashcroft, Postdoc Representative Michelle Ware, Secretary Kim Dale, Meetings Officer Josh Brickman, and Communications Officer Andreas Prokop (see a complete list of current committee members here). Please, read below about the new committee members, their careers, research interests and plans for their time on the committee. 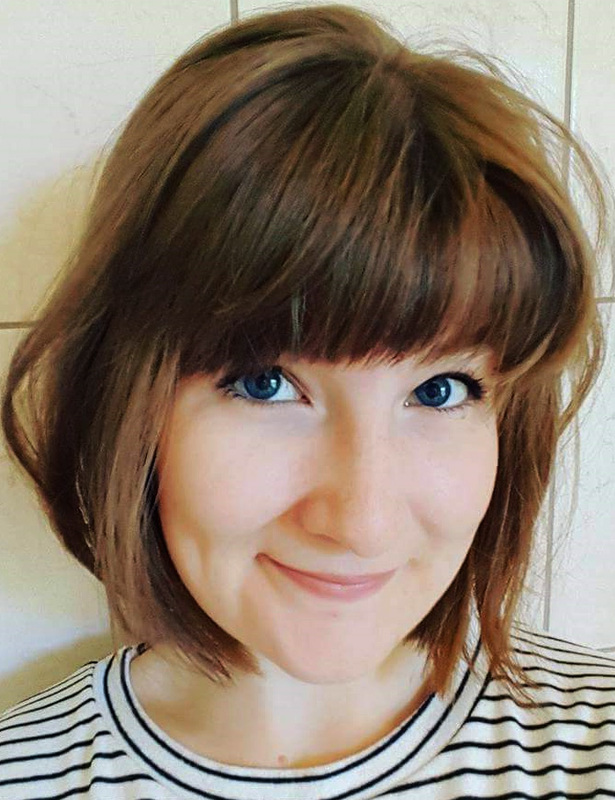 I’m extremely happy to be acting as the new Graduate Representative for BSDB, following Alexandra Ashcroft who has worked to represent graduate students at meetings and enhance the student experience. I hope to further this work, and make sure the BSDB meetings continue to meet the needs of students at various stages within their academic careers (see Newsletter #37/38, 2016/17, p.30ff.). As a Physics with Medical Physics graduate, I’m relatively new to the field of Developmental Biology. I made this switch when I applied for the Quantitative and Biophysical Biology programme at The University of Manchester. Now in my first year of my PhD, I’m completing two rotation projects within the department. In my first rotation project, I worked on the pre-implantation mouse embryo with Berenika Plusa, and started to develop a mathematical tool to match single cells across imaging modalities, together with Simon Cotter from the Mathematics department. Now I am currently working with Martin Baron, and attempting to develop a mathematical model which encompasses the role of Notch in Drosophila wing vein formation, and to inform this model with live imaging studies. Changing fields for my PhD seemed daunting when applying, but having been a part of two labs, I realise that there is a huge role for Mathematics and Physics to play in Developmental Biology. This was confirmed in my recent attendance to the BSDB Spring Meeting, where numerous talks described their collaborations with more theoretical labs. I hope to encourage the attendance of more theoretically based labs to BSDB meetings to encourage collaborations across disciplines. If you have any questions or suggestions please feel free to contact me by email. I look forward to hearing from you and meeting you at the next BSDB meetings. Having completed my PhD in the field of vertebrate somitogenesis in the lab of Kim Dale at the University of Dundee, I am now a Marie Curie postdoctoral fellow in the lab of Elke Ober at the Novo Nordisk Center for Stem Cell Biology (DanStem) in Copenhagen. I am interested in determining the cell behavioural dynamics underpinning liver regeneration in zebrafish. I am honoured to have been elected to serve on the BSDB committee as postdoc representative. In this role, I aim to draw on my experiences in event management and public outreach to build on the fantastic work of my predecessor Michelle Ware to support postdoctoral scientists within the BSDB community (see the PhD/postdoc website and Facebook group). For the budding young developmental biologist, the highlight of the scientific year has to be the BSDB Spring meeting – which I encourage every postdoc to attend! With an unfailingly engaging scientific and societal programme (Newsletter #37/38, 2016/17, p.30ff. ), this annual meeting consistently stands apart as the forum to network within the Developmental Biology community and beyond, as well as offering exposure to a broad range of exciting, cutting edge science and ideas. As part of my role as BSDB postdoc representative, I aim to tackle the increasing demand by postdocs for interdisciplinary training and discussion by introducing workshops at the annual Spring Meeting with a focus on introducing and developing cross-disciplinary skill sets and network connections, such as Python/Matlab programming, big data mining and biophysics. These workshops could also be used as a bridge for discussion of career choices both inside and outside of academia and the development of transferable skills. Undoubtedly, one of the strongest attributes of the BSDB is its great sense of community and inclusion. Following Brexit, sustaining a strong feeling of unity within the scientific community will be more important than ever to preserve the UK’s reputation as a welcoming and international environment for research excellence (see also ‘Chair’s welcome note’ in Newsletter #37/38, 2016/17, p.4f.). 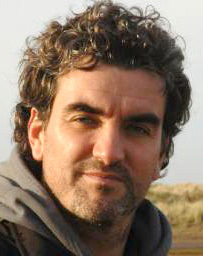 In conjunction with the The Company of Biologists, the BSDB offers amazing support to its early-career members both financially through travel grants to attend scientific meetings in the UK and abroad, and personally at the many meetings and workshops organised annually and through multimedia such as ‘the Node’, Facebook and Twitter (Vicente et al., 2017). I implore all postdocs to take advantage of these fantastic opportunities to engage with the BSDB and other subject-specific international societies to help us preserve and nurture our supportive global scientific community. Take part and develop your potential as a developmental biologist! Become a member of the BSDB to receive all of these great benefits. Don’t forget to follow ‘The Node’ on their website, Twitter or Facebook and check the BSDB website regularly for many interesting posts and discussions. Got an idea for a great workshop or event? Don’t hold back – get in touch with me by email. Tanya is Professor of Developmental Biology at the University of Sheffield, where she is a member of the Bateson Centre and Department of Biomedical Science [LINK]. Tanya studied early Xenopus development for her PhD at the University of Cambridge, under the supervision of Chris Wylie. 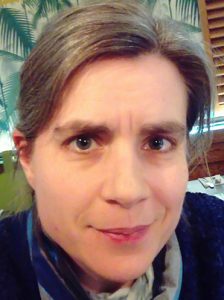 In 1994, she was an EMBO short-term fellow in the lab of Christiane Nüsslein-Volhard in Tübingen, Germany, where she contributed to analysis of mutations affecting ear development isolated in a large-scale zebrafish mutagenesis screen for embryonic phenotypes. She continued to work on these mutants as a postdoc in the lab of Julian Lewis, first at the Imperial Cancer Research Fund Developmental Biology Unit in Oxford, and later in London. Tanya established her lab in Sheffield in 1997 to continue work on the developing vertebrate inner ear, using the zebrafish as a model system. The ear is a fascinating system for study, due to its complex three-dimensional arrangement of interlinked ducts and chambers, and multitude of different cell types, including neurons, sensory hair cells, supporting and secretory cells. An enduring interest in the lab has been the analysis of signalling events that pattern the anteroposterior axis of the otic placode, precursor of the inner ear. More recently, a major focus has been on the dynamic epithelial rearrangements that generate the three semicircular canal ducts in the ear, and the use of light-sheet microscopy to image these events in real time in the live embryo. Additional recent highlights from the lab include the identification of glycoproteins required for otolith tethering in the ear, and use of the zebrafish as a screening tool for drug discovery. 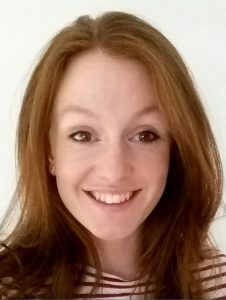 Tanya is a committed teacher of Developmental Biology, running courses at both undergraduate and postgraduate levels at the University of Sheffield. Her lab also makes regular contributions to outreach events, introducing the public to the beauty and logic of embryonic development. Shankar is Professor of Developmental Biology and a Wellcome Senior Investigator in the Department of Physiology Anatomy and Genetics at the University of Oxford [LINK]. He completed his BSc in Nizam College in Hyderabad, India. He then joined the group of Frank Costantini in Columbia University, New York, where he received a PhD for work on the molecular genetics of kidney development. Following this, he moved to the NIMR in Mill Hill, London, where he worked as a HFSPO fellow in the groups of Rosa Beddington and Jim Smith on how the anterior-posterior axis is established. Here, he developed time-lapse microscopy approaches to study early post-implantation mouse embryos, characterising the active migration of cells of the Anterior Visceral Endoderm that is essential for the correct orientation of the anterior posterior axis of the embryo. 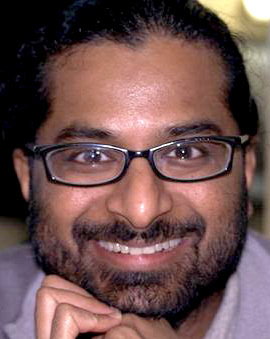 In 2004 Shankar started his independent group at the University of Oxford as a Wellcome Trust Career Development Fellow. His group has shown that the coordinated movement of AVE cells requires Planar Cell Polarity signalling and that a stereotypic multicellular-rosette arrangement of cells in the visceral endoderm is essential for normal AVE migration. Currently, the research in Shankar’s group focuses on two main areas. The first is to understand how the coordinated cell movements that shape the mammalian embryo prior to and during gastrulation are controlled. The second, more recent area is to understand how the heart starts to beat. Shankar’s group has shown that, during cardiogenesis, the cellular machinery for calcium oscillation matures before the sarcomeric machinery for contraction. Shankar’s group takes a multidisciplinary and collaborative approach to address these questions, using techniques such as light-sheet and confocal time-lapse imaging, single cell approaches and embryo explant culture. Shankar is also passionate about science outreach. His group participates regularly in science festivals, for which they have developed 3D printed models of developing embryos and a virtual reality based embryo and microscopy image volume explorer. For more information see Shankar’s public engagement page. Jens is a Sir Henry Dale fellow at the School of Life Sciences at the University of Dundee running his lab in the division of Cell and Developmental Biology [LINK]. He did his undergraduate studies at the University of Cologne and moved for his PhD to the University Paris 7 where he got his degree in Genetics in the lab of Antoine Guichet, working on mRNA localization and microtubule-based transport in Drosophila oocytes trying to understand how the anterior posterior axis is specified in this system. After his PhD he moved to the Institute for Biomedical Research (IRB) in Barcelona to start working with neural stem cells, called neuroblasts in the developing fly brain in the group of Cayetano González. During this time, he worked on asymmetric centrosome segregation and discovered that mother and daughter centrioles are differently distributed during asymmetric neuroblast division and shed light on the molecular mechanisms controlling this process. This work identified the first daughter centriole specific protein in Drosophila, called Centrobin. In 2013, Jens started his own group in the cell and developmental biology division of the school of life sciences at the University of Dundee, for which he obtained a Sir Henry Dale Fellowship funded by Wellcome and the Royal Society. Currently, his group focusses on the cell biological mechanisms that control neuroblast asymmetric cell division, which includes studying the establishment of cell polarity, fate determinant localisation and spindle orientation. Jens has been involved in organizing the Scottish Developmental Biology group meeting twice in Dundee and is currently a co-organiser of the UK Workshop on Developmental Cell Biology of Drosophila.